This oceanfront complex offers luxury accommodations. Each condo has a private balcony with panoramic views of the Atlantic Ocean, the marshlands and the Intracoastal Waterway. Outdoor pool, hot tub, and indoor pool that is heated Thanksgiving, Christmas, Easter holidays and every weekend in May at no extra charge. Charcoal community grills are available for your use. Elevator access to all floors. Ocean Point is located oceanfront, in Ocean Isle West. 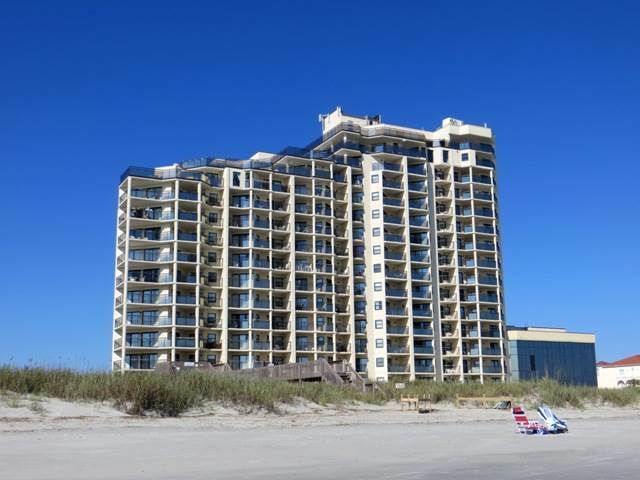 Oceanfront 3 bedroom, 3 bath condo with spectacular views. Amenities include 4 flat screen cable televisions, 1 Blu-ray player, and 2 DVD players, wireless internet access. A fully equipped kitchen with dishwasher, microwave, wet bar. Comfortable living space with a private balcony to take in the amazing sweeping views of the Atlantic Ocean. Jacuzzi tub located in master bathroom for the ultimate in relaxation. Non-smoking. Max Occupancy: 8. Bedding: King * Queen * 2 Doubles. All bed and bath linens provided as part of the amenities in this upscale accommodation.